This section is most certainly filled to the brim with hats of all shapes and sizes; there is definitely something here for everyone. To make shopping our wide range hats easier we have broken it down by style, so if you know what you are looking for dive straight into your favourite style! Otherwise browse all our sections at your own leisure as there is plenty to choose from. 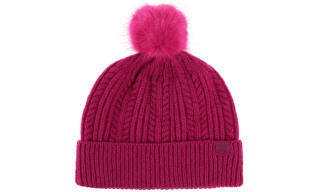 Still not discovered your favourite hat style? Head into all hats where you can see you the different styles side by side making it easier to find your favourite. Not sure which hat style to go for? Well here you can shop our full range of hats where we are sure you will find the perfect style for you. 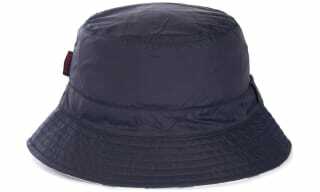 With bucket, fedora, baker boy styles and much, much more you will be spoilt for choice! 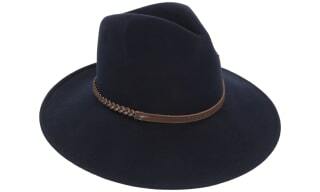 Shopping all our different styles next to one and other means you will quickly discover your favourite hat style. This section is always packed full of your favourite brands with Barbour, Schoffel, Joules and more! So what are you waiting for? Grab a brew, sit down and shop our full range of hats are your own leisure. Take a traditional turn with your hats collection and discover our range of baker boy hats - the classic piece that will bring a vintage-inspired touch to your accessories. 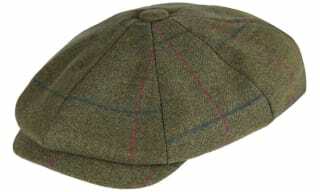 Known also as spitfire hats or newsboys...baker boy hats have been worn for years by anybody from schoolboys to female industrial workers and everything in between. Today, the baker boy hat is a quirky accessory for both men and women, mostly due to its distinct peaked front and squared design. 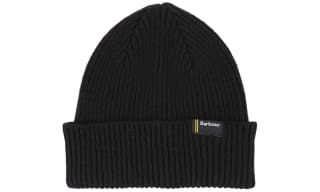 Cool cotton fabrics are superb for summer wear, whilst the wool textile designs will keep you warm and cosy during cold winter chills - whatever the season, your baker boy hat will serve you well. The peaked design will shield you from both blustering winds and sunrays, making it the ideal year-round piece - come rain or shine it will offer protective properties and incredible style for everyday wear and holidays too. This collection of Bucket and Trench Hats is a magnificent way to add a dash of style and a pinch of individuality to any outfit, from classic bucket hats to reversible trench hats this superb collection boasts a wide range of stunning prints and patterns from brands such as Barbour. 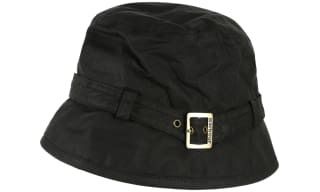 A bucket hat is both a practical and a stylish way to protect yourself from the elements, whether it’s to keep the rain off your head or the sun off the back of your neck these gorgeous hats are sure to fit the bill. On an exciting adventure this summer? Looking for the perfect fashion accessory for your holidays or simply looking to keep the rain at bay? 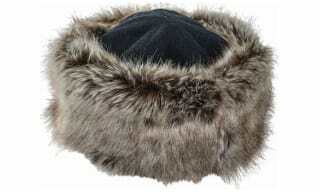 Then look no further than the bushman hats collection available at Outdoor and Country. 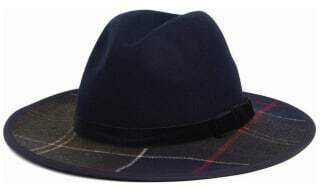 The bushman hat is the ultimate symbol of outdoor adventure which is why we are pleased to offer an impressive choice. Embrace the sophisticated demeanour of our fedora hats for all and discover a new side to your accessories collection. 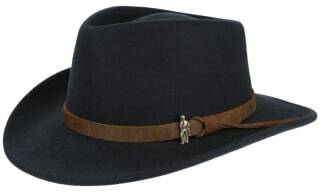 The fedora style hat has been the anchor to outfits for any season for many years now, developing into a must-have accessory for both style credentials and protection from the elements. Fashion-conscious femmes and trend-led guys will adore the distinct appeal of the vintage fedora - a classical masterpiece that will transform your ensembles. Our choice of handpicked fedora hats are the perfect counterpart to your stylish outfit. Create a look that will turn heads with our stylish and practical range of felt hats. A favourite piece for both off-duty styling and sporting endeavours, the felt hat boasts both a luxury feel and a functional edge - making it the perfect go-to piece. Felt is a versatile fabric with a luxuriously soft finish that feels wonderful to wear, boasting a wonderful movement for a stylish finish that can be worn for days out with friends in the city, visits to the country pubs and evening events that require a slightly more sophisticated touch. Activity-purpose hats crafted from felt offer the on-trend characteristics with a high-performance touch; so if you're heading out on a shoot or a walk you can be sure you're equipped with the right gear. Explore the premium accessory side to Barbour, their felt hats provide a signature look with an elite craftsmanship and branded trend-led detailing that you won't find just anywhere. 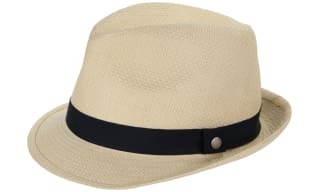 Discover your perfect summer style with our covetable range of Panama and straw hats for men and women. Featuring a broad range of holiday-perfect designs, your holiday or weekend style is sorted. 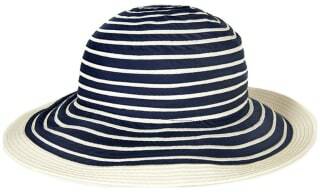 The sun-drenched straw sun hat has long been a favourite amongst men and women all over the world due to its easy versatility, lightweight properties, and always on-trend aesthetic. 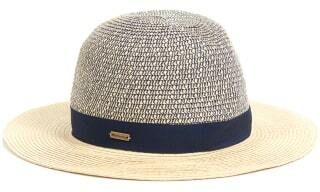 Our range of Panama and straw hats encompasses a bevy of characterful designs. Discover a new you with coloured designs that will really add a twist to your ensembles, and embrace a quirkier look with designer detailing from some of your favourite brands such as Barbour. Whatever the season or the reason, work a straw hat and bring an exceptionally stylish accessory whether you're in the city, on the beach, on-deck or putting your best hat forward on a country walk. Inject some serious country inspired charm into your hat collection with our high-performance range of hunting and Trapper hats for both men and women. The correct clothing and accessories are an essential element when taking part in hunting activities, thus choosing the correct design will ensure that enthusiasts or novices are handling equipment safely and are protected against the elements. This array of hunting hats will kit you out in form and function, with big names such as Barbour putting their signature look into their accessories collection - you can be sure that your trapper hat is a worthy investment. Only the finest fabrics and elite craftsmanship are utilised, creating traditionally inspired pieces that feature many of the telltale characteristics - think cosy fleece linings, long trapper ears and chin straps. Keeping the cold weather at bay is no match for these practical designs - thanks to the use of tweed, shearling, wool, and faux fur fabrics. Calling all ladies and gentlemen of distinction, discover our collection of tweed hats for a sophisticated look every day and add a signature essence to your accessories compilation. The classic choice for a unique look that takes inspiration from its country roots, the traditional tweed has been a firm favourite for many years. In our bevy of designs we showcase today's dynamic styles from some of your most adored brands including Barbour and Jack Murphy. Elegant and charming, our tweed hats will be the finishing touch to your ensembles - combining traditional design with contemporary touches for stylish look. For country walks and field ramblings to country pub visits, these hats are the perfect companion for smart and casual occasions alike. If you're a an experienced or novice shooter, you're sure to love the quintessentially British appeal of our tweed pieces - a superb style for yourself or a great gift for somebody else. 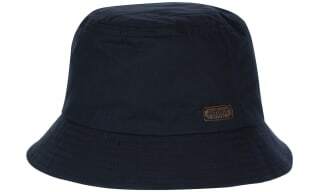 Keep the showers at bay with our incredible range of waxed hats and caps for all. Focused on keeping out the rain whilst still ensuring that you look you're best, these timeless designs boast a pioneered adherence to quality materials you can trust - meaning that your waxed hat won't let you down. Attention to detail and embellishments bring this hat into modern times, enhanced by modern colourways that sit against the classic earthy tones for a classic country look. Perfect for a country to urban lifestyle, all of the pieces in this compilation are versatile and practical, allowing you to wear them almost anywhere with a number of outfits. Choose colours to combine with your favourite look and take your waxed hat for a walk, either a leisurely stroll or a more advanced terrain. Big name brands such as Barbour offer signature styling and durable, high quality fabrics. Shop our latest selection of wide brim hats which are perfect for creating an ultra-feminine look you are bound to love wearing! Whether you are looking for a country or beach style we have what you are looking for right here, with both straw and tweed designs there really is something here for everyone. Stay dry while maintaining a great sense of style with our range of waterproof hats. 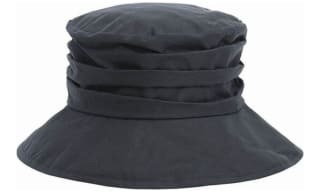 To ensure that you are always well protected from the elements, every hat in this collection has been coated with a 100% waterproof finish, with many offering sloped peaks and added coverage around the neck. Perfect for country sports, walking or just heading out when the weather is unpredictable; our waterproof hats can be easily folded up into your bag or pocket so that you are always prepared for the inclement weather. 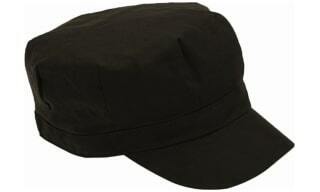 We also stock a fantastic range of waterproof caps which will suit the active sportsman or woman perfectly.